While there is no confirmation on which cities will first get the Jawa dealerships, sources have told us that the showrooms will be operations by mid-December. Currently, the company is accepting online orders for both the Jawa and the Jawa Forty Two, for a booking amount of ₹ 5,000. Dealership-level bookings, however, are expected to commence once the showrooms are open. While the more retro-looking Jawa is priced at ₹ 1.68 lakh, the entry-level Jawa Forty Two is priced at ₹ 1.55 lakh (both ex-showroom, Delhi). The more expensive Jawa bike looks very similar to the older Jawa 250 Type A from the 70s and 80s with its retro design and styling which comes with an abundance of chrome and gold pinstripes. The Jawa Forty Two, on the other hand, is a more modern representation of the Jawa brand's heritage and is offered in a range of six pastel colours with a lot of matte and black treatment. Having said that both bikes are pretty modern underneath, with features like the double creedal frame, front disc brake with ABS, and a BS-VI ready engine, which, of course, is the common denominator in both. 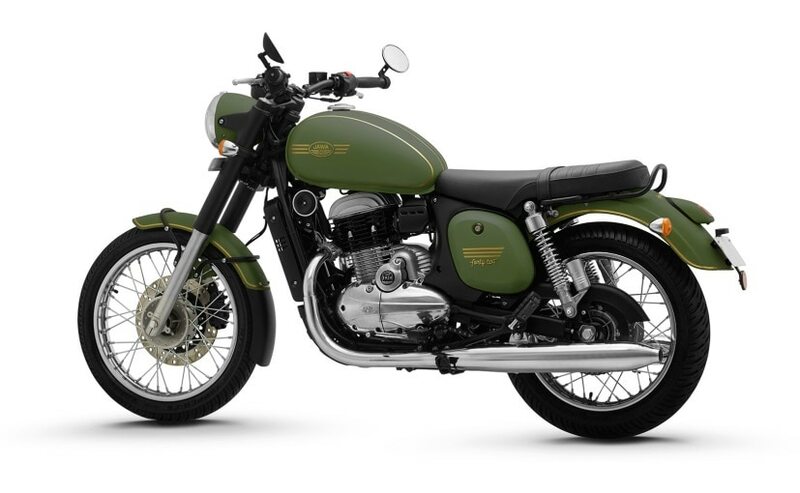 The bikes are powered by a 293 cc single-cylinder engine that is based on the Mahindra Mojo's engine but has been heavily tuned to suit this bike. The liquid-cooled, DOHC motor belts out 27 bhp and develops 28 Nm of peak torque and comes paired with a six-speed transmission. Deliveries for both, the Jawa and the Jawa Forty Two, are expected to commence from the first week of January 2019. Jawa also showcased a special factory custom Bobber motorcycle, the Jawa Perak, at the time of the launch, however, it is expected to be launched sometime later next year.